Studies show our brains make snap judgements of people within milliseconds. Before we are even able to process an entire interaction or situation, we have already subconsciously formulated an opinion on someone or something. Just as a book is often judged by its cover, people are judged by their presence. First impressions are critical towards anyone’s success and as we know, first impressions are often lasting impressions. To ensure you can advance in your career, compiled below are 10 tips you can implement right away to make sure your most professional presence is seen. 1. Remove the smiley faces out of your professional emails. An interesting study cited by Forbes demonstrated emojis and smiley faces in work emails were judged as less competent. If you want to be taken seriously, resist the urge, even if you are damn happy. 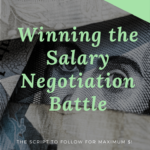 Your boss and colleagues will respect you more for being assertive. 3. Don’t be afraid to ask for special requests. If you’re shy, you may feel uncomfortable speaking up and asking for something. I’ll be the first to tell you that you’re missing out! If you’re wondering something to yourself, politely ask your question. The worse thing that would happen is you would hear, “Sorry, we can’t accommodate that.” And if that’s the case, you’ll find yourself back at your original position anyways. I recently booked a tour at a venue and asked the coordinator if they can offer a discount on a hotel stay. She gave me a $79/night rate for a 4-star hotel … on a Saturday! I’m telling you… a simple question can be like discovering magic. 5. Remove yourself from negativity. It’s a good rule of thumb to avoid negative gossip, rants, or conversations in the workplace. As much as you would never bash on anyone or any company during the interview, make sure you apply this golden rule into your workplace. Negative energy fuels negative spirits. Try to be the one who turns a negative into a positive. People will remember you for this and won’t have anything negative to say about you during future reference checks! 6. Arrive 10 minutes earlier than you really need to show up. Do you find yourself constantly apologizing for being late to events or meetings? My military friend told me, “If you’re on time, you’re late.” If you need to be somewhere at 10:00, make that 9:50 in your mind. Always leave 10 minutes of extra cushion time in the case you experience traffic, parking troubles, lines, etc. Get creative and set your clock 10 minutes early if you need to or edit your calendar invites 15 minutes early. 7. Always bring a book with you everywhere. Whether it’s audiobook, ebook, or physical book, carry one around on your phone or in your purse. It’s amazing how much you can read when you account for all of the additional random minutes in a day when you’re just waiting in line… or find yourself arriving 10 minutes early and have nothing better to do. 8. Blend in with your team and company culture. 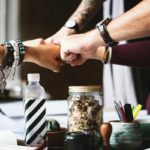 In the past three companies I’ve worked for, it was very apparent on who wasn’t aligned with the company culture. If you find everyone is dressing up for Halloween except you, try to make an effort so you’re not the only person in the entire group photo that thought it was just another Friday. If your entire team is going to happy hour week after week, try your best to make it to just one, even if you need to leave after 30 minutes. Trust me, people notice the odd ones out. 9. Be open to constructive criticism and welcome feedback. The only way to grow is to not take things personally. Constructive feedback and criticism is essential to one’s growth. If you find your emotions being hurt whenever you hear negative feedback, ask yourself what the messenger’s intentions are. While it may be difficult to accept at first, you may find the message is to bring awareness of any shortcomings so you can improve (and grow) in the future. 10. Continue networking even if you absolutely love your company or job. You never know when you may need to call upon a favor for introductions. The more well networked you are, the better you position yourself over time. Make an effort to join professional organizations where you meet people with similar skills, backgrounds, or interests. Try to make a minimum of one new meaningful connection each month as well as re-connecting with an existing meaningful connection. You will have made 24 strong connections by the end of the year by staying consistent with a small goal. Personal development is a continuous, ongoing life process. Along the way, there will inevitably be bumps in the road and, at times, you may find yourself falling short from this list. Completely 100% ay okay! As humans, we all fall short of perfection. The beautiful thing about falling short is that every opportunity is a lesson learned and there’s always a choice on what we want to feel, think, and do. 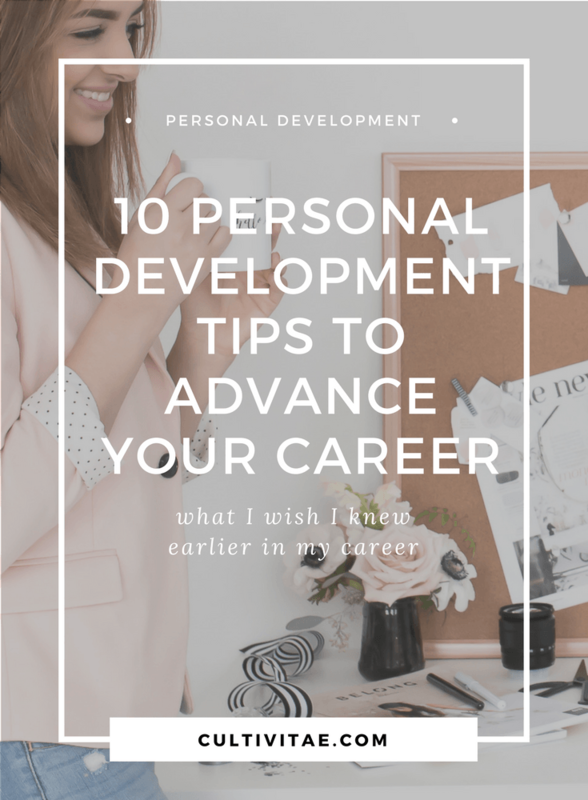 I’d love to hear any other personal development tips you have to enhance your career! If you found this article helpful, you can learn about how Emily Liou, Career Happiness Coach at CultiVitae guides corporate professionals to wake up happy on Mondays! Emily works with ambitious corporate professionals in her private coaching program called The Corporate Ladder of Purpose™. She also teaches job seekers how to conquer every stage of the job search process through her comprehensive e-course and group coaching program, The Happily Hired Formula™.